Even the most rabid anti-communists acknowledge that Karl Marx got it right in his understanding and prediction of ‘globalization’, how the economies of the world would industrialise and become increasingly integrated. “All that is solid melts into air” applies to the nation state as much as to the old feudal system that was overturned by the revolutionary bourgeoisie. Then, as now, reactionaries fought hard to keep things ‘solid’ but leftists welcome the globalizing changes that bring human beings closer together through amazing technological advances in transport and telecommunications. There is an Index that follows the patterns of globalisation in our time: DHL Global Connectedness Index. 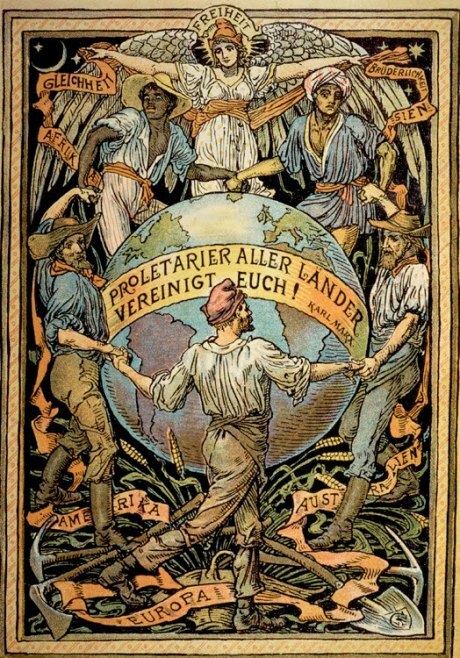 David McMullen has just added a new article to the Communist Manifesto Project that shows how Marx supported globalisation. Thanks to David for permission to republish it here.